Author Latesha Randall lived for checking off items on her to-do lists until one day she had an epiphany: even though her days were filled with things to do, she was missing out on life. 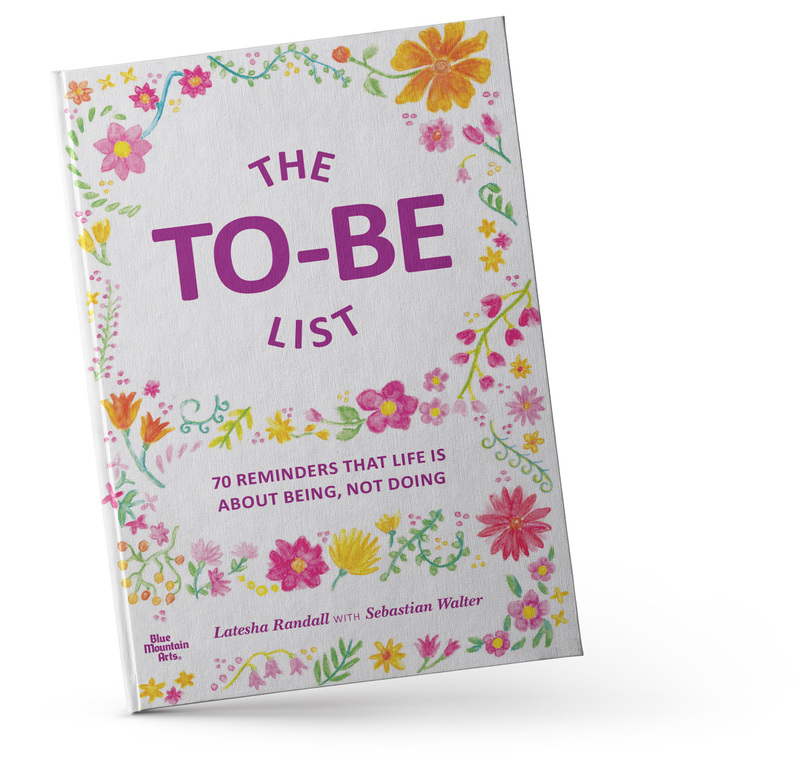 So she stopped writing down everything she needed to accomplish and started a new list of ideals and behaviors to adopt—things like “Be present,” “Be engaged,” “Be authentic,” and many other practices that focus on being rather than doing. Tesh’s business and life partner, Sebastian, has since joined her on this journey, and in this book they share all they’ve discovered. Their hope is that you’ll come away with a deeper understanding about how fulfilling life is when you can just be. Latesha (Tesh) Randall — As a business owner, magazine editor, and children’s book author, Tesh is the first to admit she’s a chronic doer. She even used to create a list every weekend of things to accomplish. One Saturday morning, however, when she sat down to perform this little ritual, her pen made an absent-minded error. Instead of “do,” it scribbled “be” at the top of the square, pink sticky note. Ever since that day, she’s been intrigued with exploring the concept of being rather than doing. Sebastian (Seb) Walter — Cofounder of Raglan Coconut Yoghurt and The Good Agency, Seb is Latesha’s business and life partner. 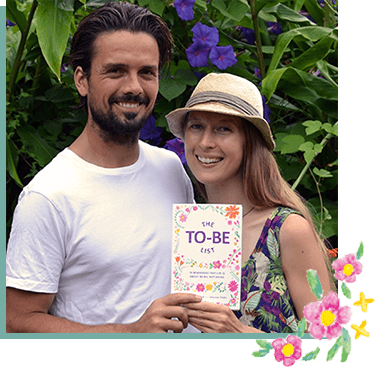 When Tesh started on her “to be” journey, Seb followed it with interest. Eventually he joined her, contributing his own “bes” to their collection. Seb and Tesh live in the sunny seaside surf town of Raglan, New Zealand. For over 40 years, Blue Mountain Arts has been helping people communicate their deepest, most sincere thoughts and feelings about love, friendship, family, ideals, and dreams. Based in Boulder, Colorado, Blue Mountain Arts was founded by poet Susan Polis Schutz and physicist/illustrator Stephen Schutz. A thriving international publisher of gift books, greeting cards, calendars, and other products, the company is known for its innovative art styles, quality papers, unique production techniques, and ever-increasing selection of authors and artists.